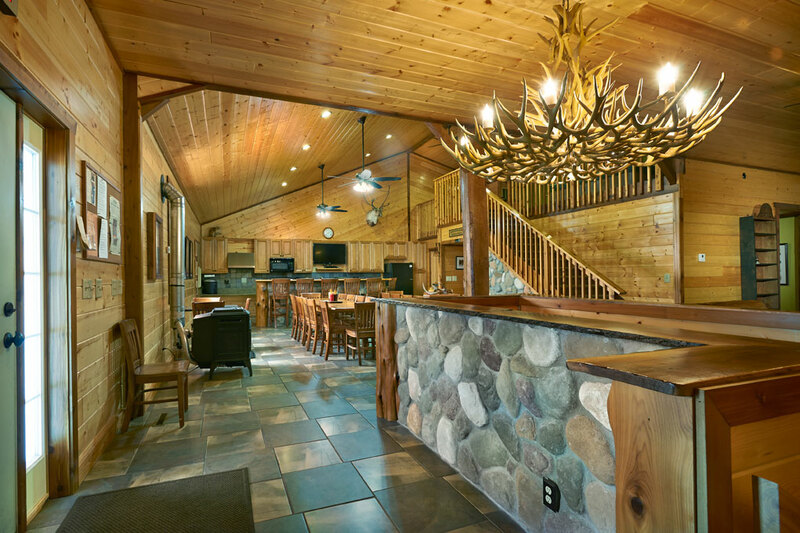 You'll find The Bunkhouse in rural, historic Port Washington, Wisconsin your home away from home for most any group gathering. 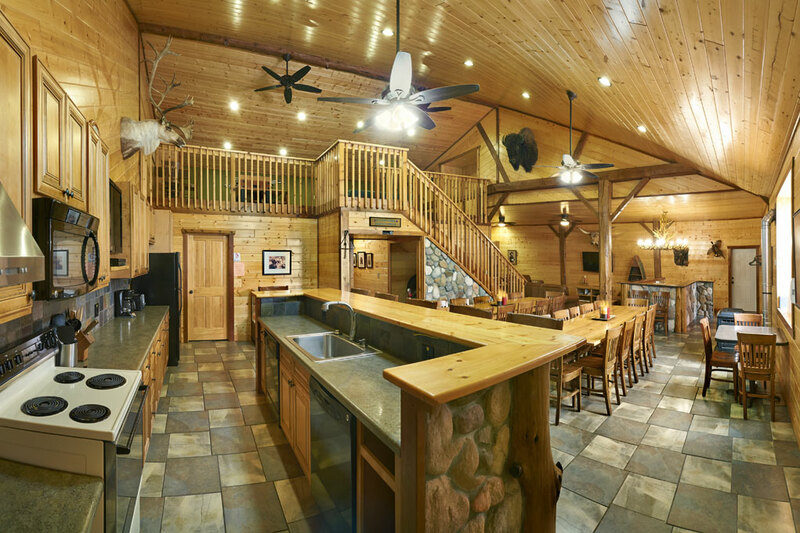 Our unique rustic atmosphere is the perfect setting for retreats, group meetings, or family and social gatherings. 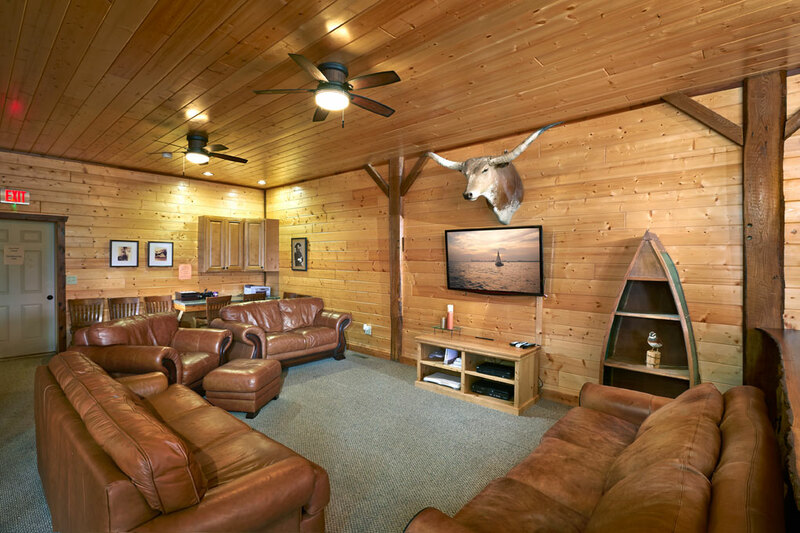 Our Main Lodge comfortably accommodates groups up to 32+, and our Lower Corral banquet hall seats up to 100. Overnight stay? 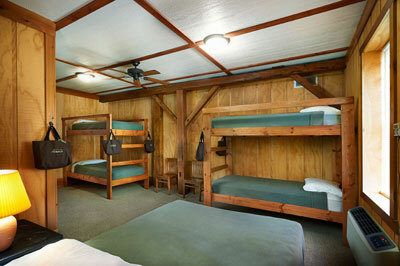 Our bunkroom-style accommodations sleep up to 32 guests (22 in beds, plus cots). 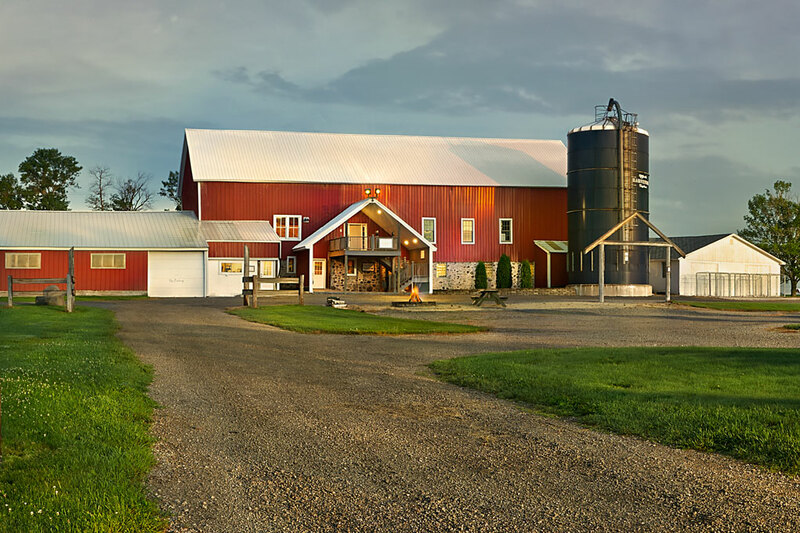 Nestled in the beautiful Wisconsin countryside, The Bunkhouse is only minutes from lakes and beaches, world class golfing, bike trails, charter fishing, great shopping, dining and more. 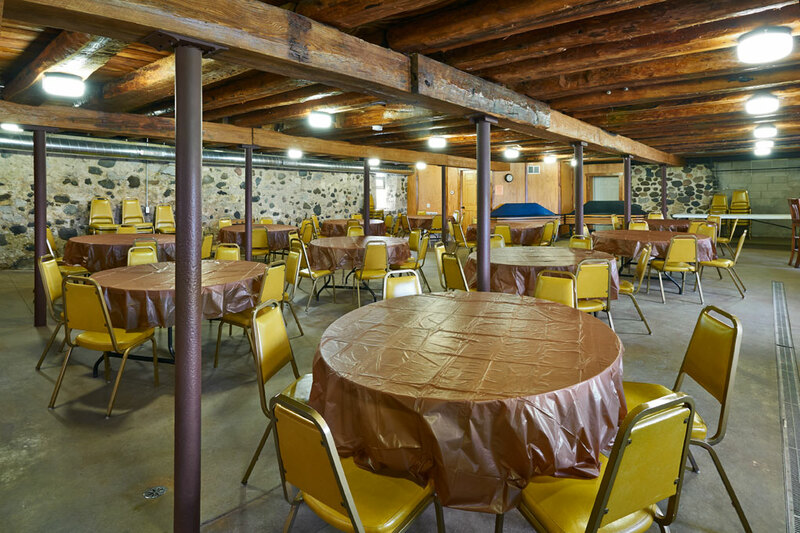 More than just a place to meet, the historic Bunkhouse and Port Washington are a true destination. 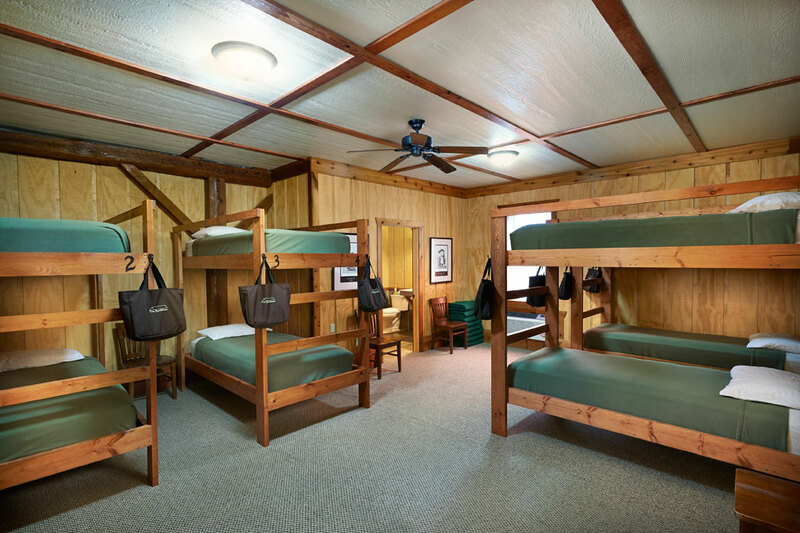 Call us today to reserve The Bunkhouse to host your next gathering. 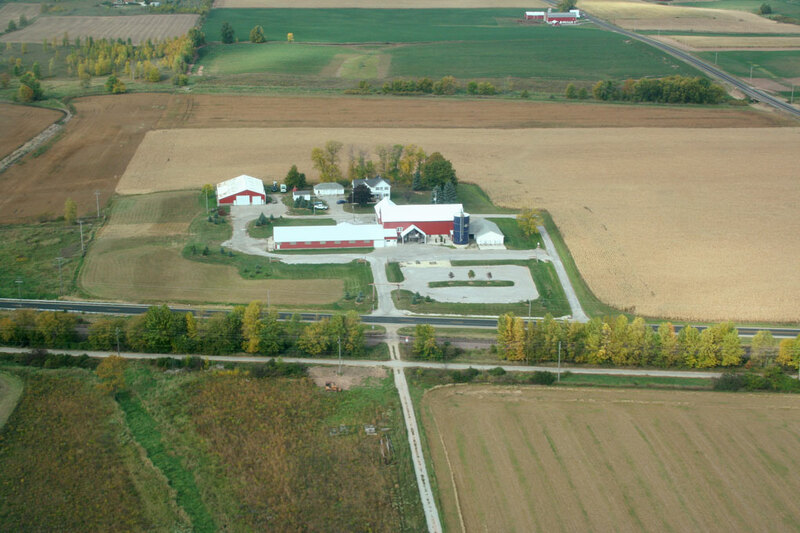 Harrington Beach State Park has seven miles of hiking trails and one mile of Lake Michigan shoreline to explore. Walking the beach along Lake Michigan, hikers can see the remains of a 700-foot pier that was used in the early 1900s for shipping limestone quarried and processed at the park. The old pier is on the point which is the dividing point between the north and south beaches. 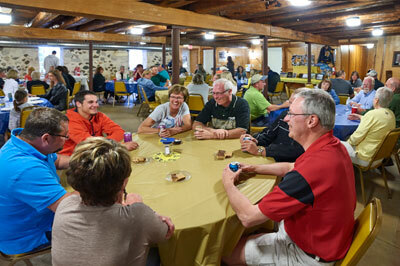 Biking is allowed on the shuttle bus route from the Pucket's Pond area to the Answay Welcome Center. The Black River Marsh Boardwalk is on the west side of the campground just off the main campground road. The 1/4-mile boardwalk offers a unique opportunity to walk out over the marsh, past the nesting ponds, west to the Black River. Along the way, there are three lookout/resting platforms with seats. This walk is accessible to people with disabilities. Dogs are allowed to accompany their owners. 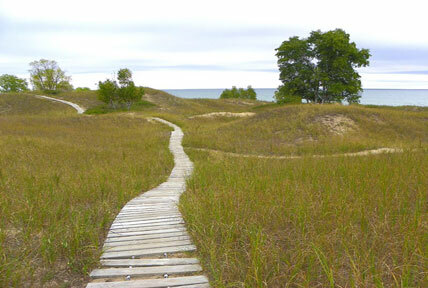 The Dunes Cordwalk is just north and south of the nature center in the state natural area. Hikers walk on a 2 1/2 mile "cordwalk" (boards and rope) through the dunes with three lookout points and benches overlooking Lake Michigan and a rare interdunal marsh. 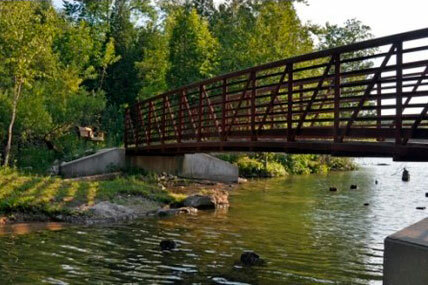 The Black River Trail is open to bikers as well, and is in the northwest section of the park just off County Hwy. 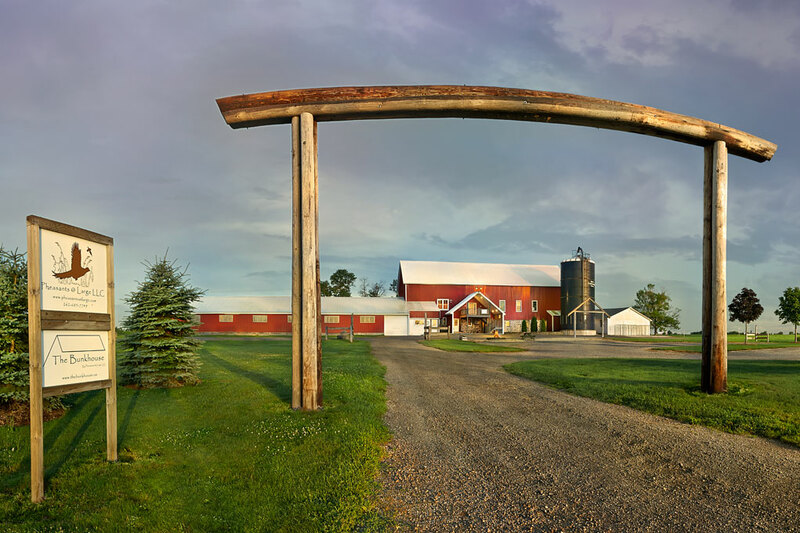 V. The 2.5-mile trail winds through open prairie, mixed woodlands and a red pine plantation.